But today, where many of us have constant access to high calorie foods, our body&apos;s impressive ability to convert food into fat has, ironically, become problematic. Consequently, the number of overweight people worldwide is skyrocketing, leading to large health consequences for both the individual and society. However, as part of a new study, researchers at the University of Copenhagen have now managed to inhibit the body&apos;s ability to store fat. 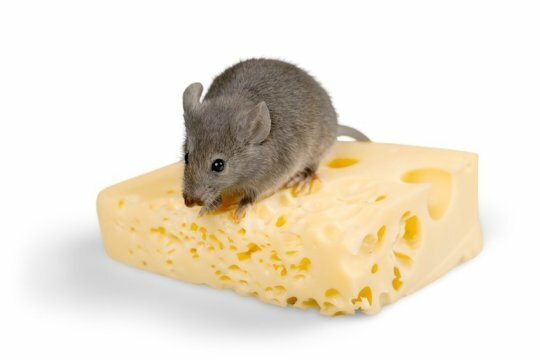 They genetically delete the enzyme NAMPT in fat tissue of mice, and this renders the animals completely resistant to becoming overweight or obese, even on a very fatty diet. &apos;We gave the mice a diet that more or less corresponds to continuously eating burgers and pizza. Still, it was impossible for them to expand their fat tissue. Our ultimate goal is that by understanding these fundamental underpinnings of how we become obese, we can apply our finding to the development of novel treatment strategies for metabolic disease,&apos; says Karen Nørgaard Nielsen, first author on the publication and a Ph.D. student at the Novo Nordisk Foundation Center for Basic Metabolic Research. &apos;NAMPT appears to increase the metabolic functionality of almost every tissue in the body in which it has been studied. For example, there are indications that the liver and skeletal muscle may benefit from increased NAMPT activity. We similarly find that NAMPT is critical for fat tissue function. Unfortunately, that function is efficiently storing fat. NAMPT in fat tissue was likely once an extraordinary benefit to our ancestors but in today&apos;s society full of high-fat, calorically-dense foods, it may now pose a liability&apos;, says Associate Professor Zachary Gerhart-Hines from the Novo Nordisk Foundation Center for Basic Metabolic Research and corresponding author on the study.